Large trucks parked on the side of the road or disabled in the roadway present a serious risk for other motorists. The difference in mass between a commercial truck and a passenger vehicle is so great that a collision with a stopped truck may result in considerable vehicle damage and devastating injuries. 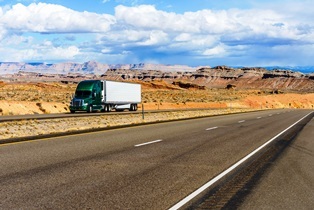 Everyone understands that truck drivers sometimes need to pull off the road to check their cargo, address mechanical problems, or simply to sleep and rest. Unfortunately, when truckers fail to follow safe parking rules, serious collisions can occur. Traveling down forbidden roads. There are some roads that large trucks simply aren’t allowed to use at all, such as many in residential areas. Any driver parking in these areas is likely to be held at least partially liable for a collision, since he shouldn't have been there in the first place. Parking on the side of the road. Truckers are allowed to park their rigs on a highway shoulder only in the event of an actual emergency. If a trucker stops on the side of the highway when he just as easily could have taken the next exit, he's likely to have collision liability. Failing to follow safety protocols. When a truck is disabled on the roadway, the law requires operators to take certain safety precautions. They must follow guidelines established by Subpart C of Section 392.2 of the Federal Motor Carrier Safety Regulations, and may be held liable for a collision if they fail to do so. If you’ve been injured in a collision with a stopped truck, you need an attorney to help you receive the compensation you deserve. Your lawyer must prove the truck driver’s negligence led to your injuries. This can be a difficult task, and it requires the expertise of an experienced truck accident attorney. To discuss your claim, contact the law offices of Steve M. Lee, P.C., by using the form on this page.